Effortlessly providing space for your personal belongings, photo frames and decorations or simply room for you to work on. Due to its simple white base finish, this console table will fit in with any style of home no matter the surrounding interior. 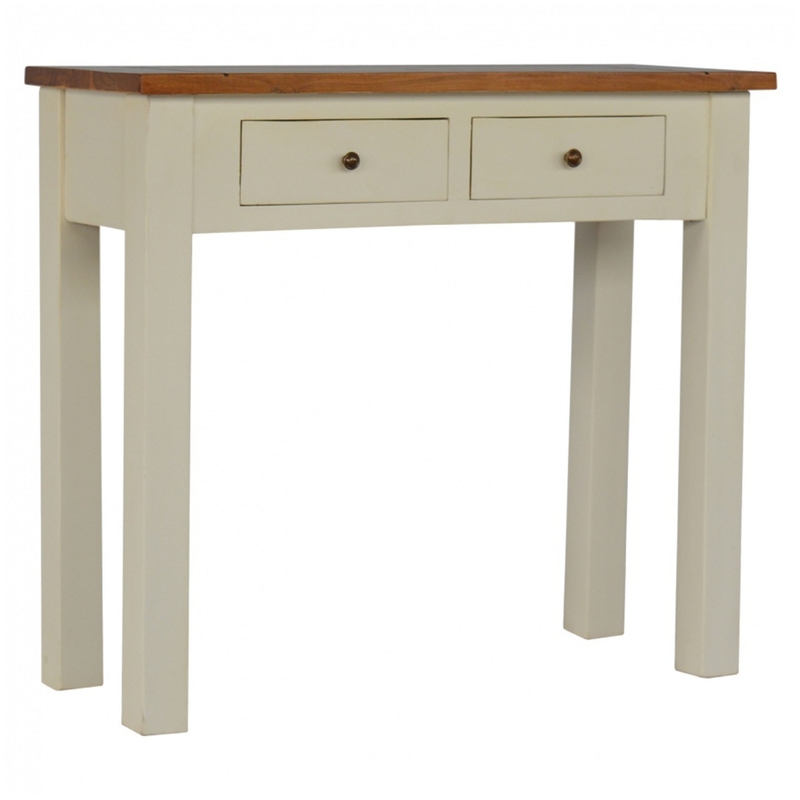 Fit with two drawers, this console table is perfect if you're looking for some additional storage.